Why create your own attribution model? 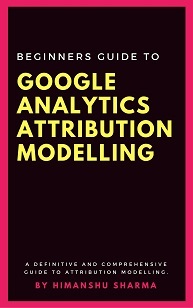 If you are brand new to attribution modelling then I would suggest to read this article first: Beginners Guide to Google Analytics Attribution Modelling. 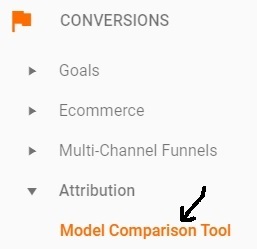 Today I will show you, how to create and use your own attribution model (aka ‘Custom Attribution Model’) in Google Analytics using the model comparison tool. 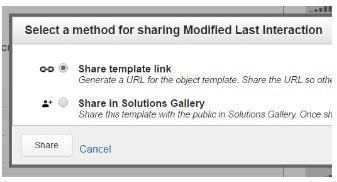 Through model comparison tool you can create a new attribution model. 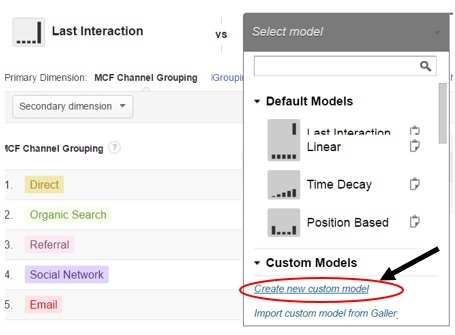 You can create up to 10 custom attribution models per GA reporting view. 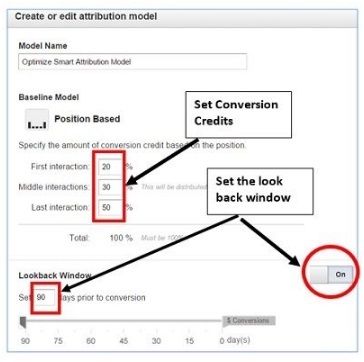 An attribution model is a set of rules which is used to determine, how credit for conversions should be attributed/distributed to different touch points in a conversion path. A conversion path can be made up of: one interaction, two interactions, four interactions etc. An interaction is an exposure to a marketing channel. Since interaction and touchpoints are the same thing, a conversion path can be made up of: one touch point, two touch points, four touch points etc. An attribution model divides conversion credit across all touch points. So if you are using a linear attribution model, then the conversion credit will be divided equally across all touch points. In other words, all touch points will get equal credit for conversions. 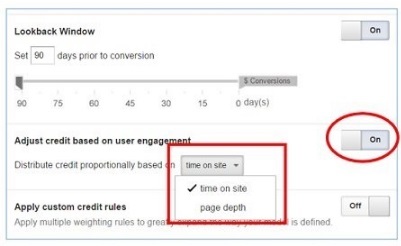 However if you are using a last click model, then the conversion credit will not be divided across all touch points and the last interactions get all the credit for conversions. Same is the case with first click model, where the first interactions get all the credit for conversions. At this point, you may be thinking, what is the point of creating an attribution model, when there are already so many baseline attribution models available in GA. The purpose of creating your own attribution model, is to valuate your marketing from different perspective. When you use a different attribution model, it impacts the valuation of your marketing channels. Through attribution model you can evaluate the effectiveness of your marketing campaigns. You can evaluate yours assumptions in your conversion path data. You use the attribution model output, to increase or decrease investment in a marketing channel and then monitor how it affects your conversions and sales over time. Through attribution model you can test your assumptions by experimenting. Attribution models are used for experimenting/testing purpose. For example, under last click attribution model, your display advertising may be heavily undervalued because of your unique customers’ purchase behavior. May be majority of your customers are getting influenced by your display ads in their conversion journey but they are not clicking on these ads before making a purchase. So may be under last click attribution model, display advertising is heavily undervalued. But how you can know for sure whether or not display advertising is undervalued or overvalued without creating and comparing an attribution model with the last touch attribution model. Here custom attribution models comes into picture. You create a hypothesis and then test it by creating a custom attribution model. You then compare your model with the last touch or some other attribution model. The hypothesis you create is based on your analysis. You can test this hypothesis by creating a custom attribution model. But before you can create our own attribution model, you need to first learn about the various nuts and bolts of custom attribution modelling. 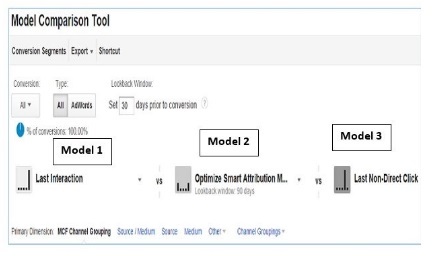 Goal Conversion tracking and/or ecommerce tracking setup is the primary technical requirement for creating a custom attribution model in Google Analytics. In GA, you can not create a custom attribution model from scratch. The attribution model that you create, will be built on top of a baseline attribution model. You use default model as a starting point for your custom model. So, before you can create your own attribution model, you would first need to select a baseline model for your custom model. This baseline model defines, how credit for conversions should be attributed to various touch points in a conversion path before custom credit rules are applied. 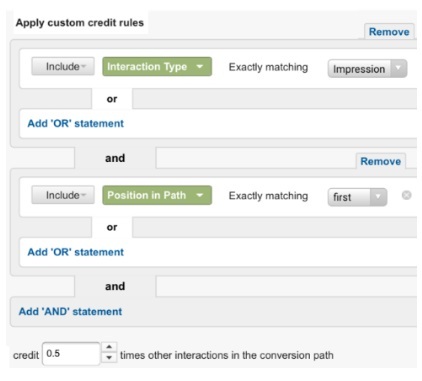 When you build your own attribution model, you create your own rules to assign credit for conversions to different interactions/touch points in a conversion path. Adjusting credit means, distributing credit for conversions to various interactions in a conversion path. By adjusting credit for interactions, you can customize how interactions are valued. 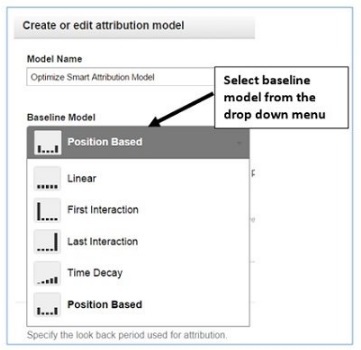 Follow the steps below to create your own attribution model. Faith (a collective know-how of your organization, target audience and industry). Attribution modelling is a very advanced stage of business analysis where we determine most effective marketing channels for investment and there is almost always, lot of money at stake. An incorrect attribution can result in huge monetary loss for you or your client. Therefore great understanding of the business, for which you wish to carry out attribution modelling is mandatory. Otherwise your attribution modelling is most likely to be flawed. Make sure that you are tracking all of the website usage data and that data is as accurate as technically possible and you are not facing any data sampling issues. This is primary requirement for creating a custom attribution model. Make sure that you are tracking all but only relevant goals (and not something like ‘time spent on website’) along with their correct goal value. A conversion without a goal value (or economic value) is a bogus conversion as it does not add any value to the business bottomline. Track only those goals which are really useful for your business. Irrelevant goals can greatly skew your conversion volume and conversion rates, pollute your multi channel funnel data and make attribution modelling flawed. If your website has got considerable amount of cross device attribution issues then you need to fix them first. Otherwise your attribution modelling is going to produce flawed results. This happen because the attribution modelling reports provided by GA, mainly report on single device single browser attributions. You may be getting tons of sales and conversions but if you don’t keep an eye on ‘cost per acquisition’ then the cost can literally kill your marketing ROI. Attribution modelling is most useful when it take ‘cost’ into account. The hypothesis you create is based on your analysis and the attribution problem you are trying to solve. #4 Select baseline model on the basis of your business model and advertising objectives. #6 Adjust conversion credit based on user engagement. #7: Create and apply new custom credit rules. These rules define how credit should be distributed to various touch points / interactions in a conversion path. #8 Once you have added all the custom credit rules, Click on ‘save and apply’ button. #9 Compare your attribution model with other models and valuate your marketing channels and campaigns. When you share custom attribution model, only the attribution model template is shared and not your attribution data.